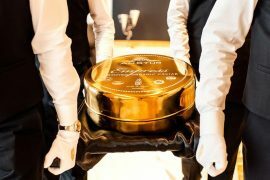 The Rémy Martin brand has been an official sponsor of the Cannes Film Festival for the past 11 years, we can safely say it has become a tradition at the storied festival. 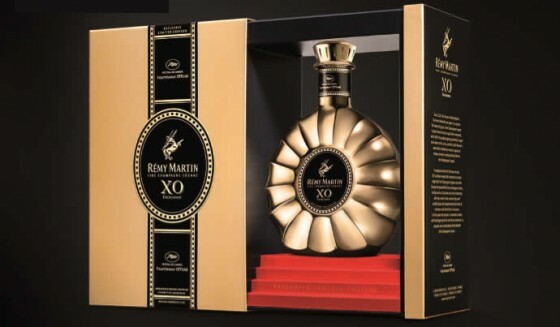 For the 67th annual Cannes Film Festival, French cognac maker is releasing an exclusive edition of only 22 decanters of their finest, The Rémy Martin XO Excellence in a beautiful arrangement. 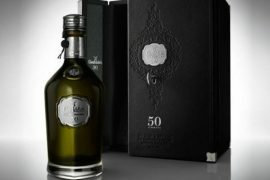 The decanter received a redecoration for the occasion with old-fashioned movie reel labels on both the label and around to neck. 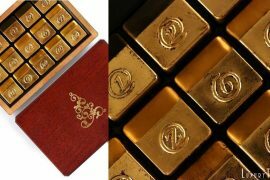 This is clearly going to please not only cognac devotees but also movie lovers. 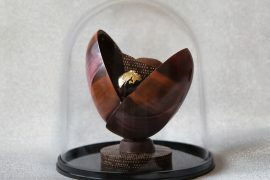 The gold-colored vessel arrives in a restyled black and gold box with movie related decorations – it practically arrives to a red-carpet welcome. Quiet appropriately for the occasion, box also feature movie reel decorations. On previous years Rémy Martin celebrated the festival by releasing VSOP limited editions. 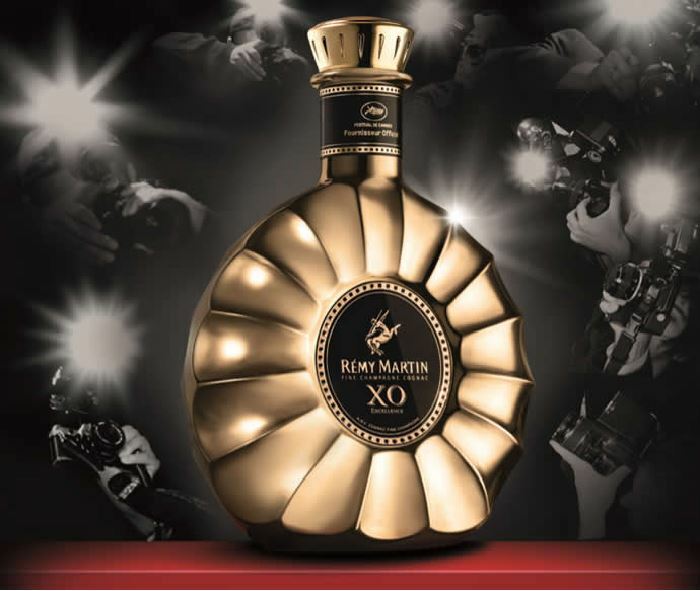 This year with the special edition XO, Rémy is showing its commitment and appreciation to one of the most glamorous movie festivals in the world. The Remy Martin XO Excellence Cannes 2014 will retail from around €200.